The Texans took a look at one of the top wide receivers in this year&apos;s draft class on Friday. Tom Pelissero of NFL Media reports that the Texans held a private workout for former Ole Miss wideout A.J. Brown. Brown declared himself the best receiver in this year&apos;s class and he&apos;s drawn plenty of attention around the league recently. Texans DB calls out Antonio Brown after petty JuJu Smith-Schuster tweet originally appeared on nbcsportsbayarea.com Antonio Brown&apos;s social media war with JuJu Smith-Schuster is making him some enemies in the NFL, and not just in Pittsburgh. After the Raiders star took a shot at his former teammate Sunday on Twitter, Houston Texans second-year defensive back Justin Reid chimed in, saying he "can&apos;t wait to smash" Brown when the Texans and Raiders play this season. Rams safety Eric Weddle also chirped Brown for the unnecessary shot at Smith-Schuster. NFL Network Insider Ian Rapoport explains how Dallas Cowboys defensive end DeMarcus Lawrence&apos;s new contract impacts contract negotiations for Seattle Seahawks DE Frank Clark and Houston Texans outside linebacker Jadeveon Clowney. Source: 49ers will meet with two special teams prospects this week originally appeared on nbcsportsbayarea.com The 49ers will meet with two special teams prospects on Friday, sources told NBC Sports Bay Area. Team representatives will meet with long snapper Chris Wilkerson and punter Jack Fox on April 5, at a facility in Houston. Wilkerson started all four years at Division I Stephen F. Austin State University. Quarterback Russell Wilson has told the Seattle Seahawks that he wants a new contract by April 15, the first day of the offseason workout program, the Seattle Times reported Tuesday. It is believed Wilson&apos;s side and the Seahawks have met recently. Wilson, 30, is entering the final year of a four-year, $87.6 million contract signed July 31, 2015, and he is scheduled to earn a base salary of $17 million in the 2019 season. Following is a summary of current sports news briefs. Boston College G Bowman declares for NBA draft Boston College standout guard Ky Bowman announced Tuesday that he is bypassing his senior season and declaring for the NBA draft. Bowman made his announcement on his Instagram page. 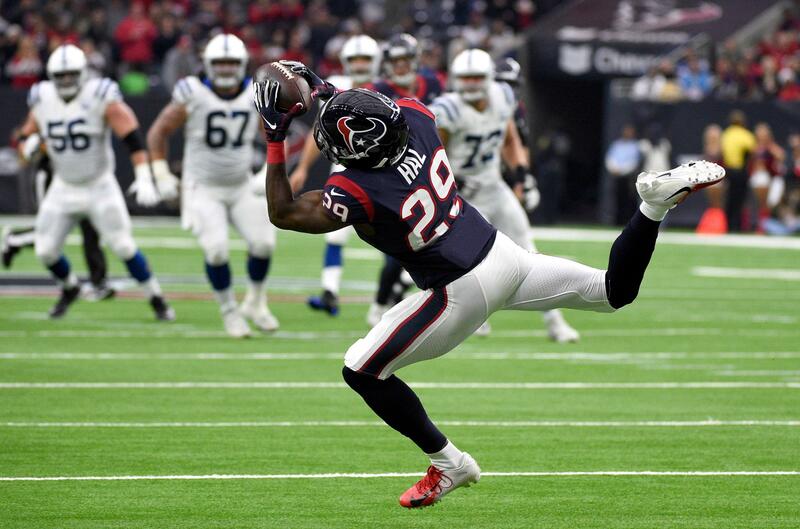 Andre Hal, who beat cancer to return to the field for the Houston Texans last season, is retiring from the NFL. Hal announced the news Tuesday, saying the decision to walk away from the game is not health-related. Thank you to the Houston Texans organization for giving me the opportunity to live my childhood dream. The Jacksonville Jaguars signed running back Benny Cunningham on Tuesday, one day after reaching an agreement with running back Alfred Blue. Both visited the team on Monday, and now both will back up Leonard Fournette on the depth chart. Blue had been with the Houston Texans since they drafted him in the sixth round in 2014 out of LSU, the same school where Fournette played from 2014-16. The New England Patriots have lost several key coaches since winning Super Bowl LIII, but one of their biggest losses might have been one that flew under the radar: Jack Easterby, who was officially the team&apos;s character coach/team development. Easterby and the Patriots parted ways in February; his contract with the team had expired, but the Boston Globe reported that Easterby felt his time with the team had run its course, and the situation with team owner Robert Kraft, who was arrested that month for solicitation tied to a prostitution ring in a Florida strip-mall day spa, didn&apos;t sit well with him. But Easterby has found a new landing spot, and what seems like an expanded role. Former Patriots "character" coach Jack Easterby is joining the Houston Texans originally appeared on nbcsportsboston.com The great revolving door of Patriots coaches continues, as former Pats "character coach" Jack Easterby will be joining the Houston Texans as Executive Vice President of Team Development, according to the team. 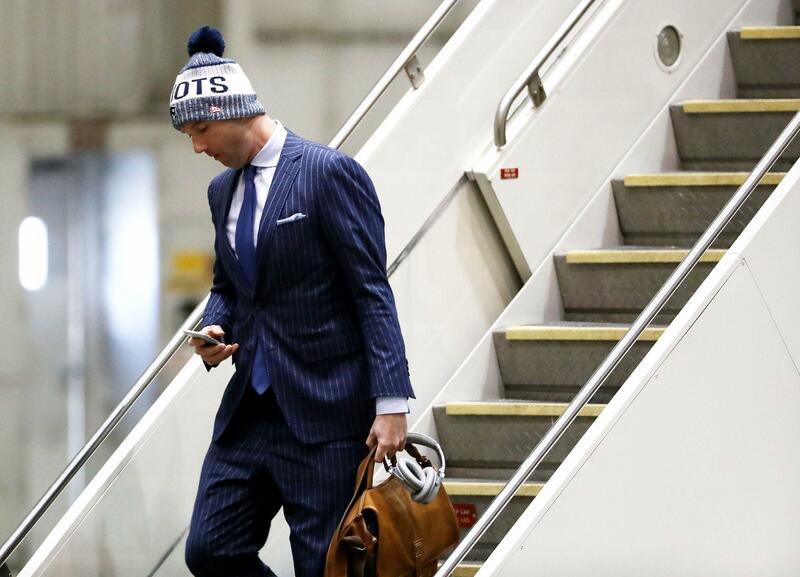 Easterby, who left New England shortly following the team&apos;s sixth Super Bowl victory, and in the wake of Patriots owner Robert Kraft&apos;s solicitation charge, was a member of the Patriots&apos; coaching staff since 2013.